Well where do you start? and I guess where do you finish? There was some great little spurts of action this season and some amazing weather,we ended with 6 fish over 800 lb and a fish a day for the season,there was a consistent bite for most of late October and November but early October was slow and inconsistent. the Jones family from Melbourne will remember their trip for some time I am sure they had great fishing and got a sat tag into a healthy 800 lb fish….update to follow. ONLY 4 MORE TO HIT 40 SEASONS!!!!!!!!!!!!!!!!!!!!!!! Well here we go again! 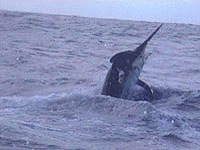 Start of another great year here at Australian Black Marlin the home of Cairns marlin fishing. Looking forward to a great Season on our new boat Kiama, rigged and ready to go with all the best gear and crew. We have some great spots still available and look forward to catching up with old clients and welcoming new ones. Another exciting event is the 50th Anniversary tournament in September. If we can help you out with a great charter this season get in contact as most spots will fill fast. THIS YEAR SEES US HEADING TO THE STATES TO VISIT OLD CLIENTS AND FRIENDS AND GO TO COSTA RICA AND PANAMA AS WELL AS MEXICO. IT’S BEEN 12 YEARS SINCE I WAS LAST OVER IN THE STATES PEDDLING MY WARES AND TRYING TO GET PEOPLE TO COME AND FISH THE GREAT BARRIER REEF. EVERYONE AROUND THE WORLD CLAIMS TO HAVE THE BEST THIS AND THE BEST THAT…BUT THERE IS NOWHERE ON THIS PLANET THAT CAN EQUAL THE REEF FOR GIANT FISH,BEAUTIFUL SCENERY AND AN EXPERIENCE OF A LIFETIME. 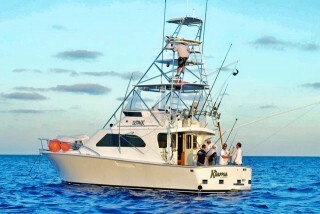 2015 WILL BE MY 34TH YEAR AND I AM LOOKING FORWARD TO ANOTHER FANTASTIC YEAR AND IF THE ITCH GETS YOU PLEASE CONTACT ME TO SECURE A BOOKING FOR THE BEST PLACE IN THE WORLD TO CATCH BLACK MARLIN. Season filling fast so get on board and book a trip with us. after an amazing season last year with 14 fish over 900 lb and many more in the 700-800 lb range we look forward to another great season with some good dates still available. There are some great deals this year and also our relocates which are the best value on the reef,call 0428772950 or facebook and let us make your dreams reality. Wow great charter so far,averaging a fish a day with some big fish in the mix,got a 700 lb fish out wide and lots of action on the edge.another 22 days to go and lots of fun to be had! Mothership the Laura J is awesome with my old mate Mitchy at the helm and great crew. Had a great trip with Steve Nance,Cliff Nance and Kent from Kentucky…the boys caught a boat load of yellowfin and a 800 lb black marlin and lost another around the same size,weather was fantastic and lots of laughs. 2012 proved to be a challenging season with some great fishing but a lot of hard work to find the fish!Askari,kanahoee,tradition and top shot all had some great fishing and towards the end of the season Castille found a patch of fish out wide which proved to be pretty consistant.We saw over 30 fish in 6 days and had 16 bites for 9 releases.Katie ripper was red hot with a950 lb ,250,200 and a 300 lb fish ,Paul Charlton also had some great fishing and lost a big fish after a 45 min battle,Stew burrows released a beautiful 950 lb fish in the Lizard is tournament and Sally Jenyns fought a fish around 800 lb for 40 mins before the leader broke.A 600 lb on 80 lb stand up was fun and in all we had 62 bites,48 hook ups and released 24 fish with an average size of around 400 lb. It was great to have such a good boat to work with this year and things can only get better with one season under our belt…thanks to Mick Jacobs,wombat,dude and ty for their hard work and excellent crewing. Bigger and better things for next year with a good season booked,let me know if we can book you the fishing trip of a lifetime.